Before I started my course at university I had a very wrong Idea of what a site investigation is. I thought it was just going at the site and taking pictures to see how big it is and write it in the report. Well, I couldn't be more wrong about it. 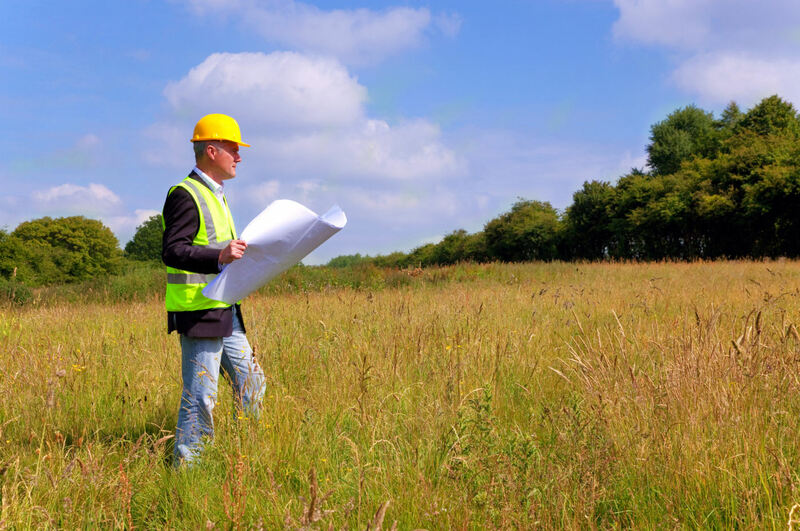 There are two parts that make up a site investigation complete. The desk study, which is information taken from databases, the internet and other sources, and the walk-over survey, which is generally going on the site to analyse the area. The site investigation is always made by the architect who is designing the building. In the previous post I did for ' How to Present Work for your Portfolio/University Assignment' I said in the site investigation part that 'site investigation can be seen differently according to what is your occupation, for example, an architect will see the design on the surrounding buildings and figure out whether he would make his design stand out or blend in with the surroundings of the area, whilst a Geologist will analyse the soil of the site'. A site investigation is both these two and many many more. This statement was made by my university professor who had his first lecture bout site investigation. The desk study is all the information found about the area without having to attend the site. You can find the information you need from databases, the internet etc. This part of the study consist of the biggest amount of information you need to find. - Local climate: this information is useful as temperature varies with location, houses expand or shrink therefore calculations need to be taken before designing the house, also this can affect the choice of the material. Another reason that this information is needed is because of the insulation that is going to be installed on the house and the temperature resistance that is required. - Wind/Windspeed: wind can be considered as a load on the building. The taller the building is, the bigger the wind force is going to be and therefore that can affect the structure-type that has to be used to be designed. Also the wind force depends on the location that the site is located, take as an example in the city of London, the wind speed is going to be less than where in the coast of England is going to be at the same height. - Snow: when the site you are designing for is located in an area that snows that would require a building that is going to take greater loads. When a lot snow is gathered it can put great loads on the roof of the house. - Frost: in different locations there is a problem with frost on the houses and that can damage the material of the building. For example, when you are designing a house where it is on a location where there is danger for frost to happen, frost-resisting brick has to be used for it. Other information that need to be found: annual rainfall. All these information can be found from the Met Office, which according to wikipedia is the United Kingdom's national weather service, and a trading fund of the Department of Business, Innovation and Skills. - History of the site: this can give you a lot of information as if you search the history of the site you can figure out whether there was a previous building located in the same area, that would mean that the foundation system of the previous building is still under the surface which can affect the foundation system that you will use (if there are existing foundation systems you will need to use pile foundations for your buildings so the piles would penetrate the existing foundation systems and go deeper in the soil). This information can simply be gathered from ordinance surveying maps, which can be found easily from digimap.edina.co.uk under the 'Historic' category where you can view the map of your area by decades, and air photographs that can be specifically found in the Planning Department of the Local Council. - Banning Distrains: you need to find out about the banning distrains so you can figure out if you can build on the chosen site for the usage you need to design. There are some areas you cannot built at all, and some areas for only houses or that they are only industrial. This information can also be found from the Local Council. - Location of Services: in this part you need to find where the electric wires are, the surage pipes, gas wires, water pipes etc. You are putting a building there, therefore you don't want to damage them. You can find this from the Highway Department, which is also part of the Local Council. - Flood Risk: if there is a high risk of floods in the area, the building will be made out of concrete which is waterproof (if there are floods by the sea there is going to be used a sulfate-resistant concrete), or all the important rooms will be positioned on the second floor, or any other techniques can be used. You can find this information from flood plans that can be taken from the Environment Agency or from their website by inserting the post code. - Type of Soil: the main reason why the soil has to be analysed for a site investigation is because the type of soil can affect the type of foundation system that has to be built. It is very tricky to find this information because a lot of times we can get the wrong information about this, therefore you have to make sure to get the information from the right place. You can find this information (for the UK) from the British Geological Survey as they already have samples of the soil of all areas in Britain. - Tunnels for underground: you need to know whether you are building on top of underground rails (mainly for London, but also any city that has underground facilities). That is because if you are building a tall or wide building you have to consider the underground stations and that pile foundations cannot be used, therefore other technologies can be used to support the building. You can find out about this with a very simple and easy-to-get source, that is the A-Z maps. - Post office tunnels: Years ago in London they were using underground post office tunnels to deliver the mails or packages, even though this facility is not in use, the tunnels are still there, therefore for the same reason as the underground tubes, they can affect the foundation system you are going to use. - Archeological history of the site: if you are building on a historic site, archeologists have the power to stop the site investigation because you can ruin the history of the area. You can get the approval from the Archeological Department from the Museum of London or county Archeologist if it's outside London. - Mobile phone masts: if there is a mobile phone mast in the area then a house or facility that it's is going to be used for children cannot be built as radioactivity can have severe effects on kids in young age. - Architectural context: in this part is where you are going to see the surrounding architecture and decide whether you are going to design the building to blend in with the surrounding buildings or make it stand-out. This will affect your first ideas of your design. - Trees: you need to find information about the trees (or grass) in the area as you can realise whether there is water in the soil and if the water content is high. Again this will affect the foundation system properties. - Ecology: find out about the natural life around there, that includes the insects, foxes, rare butterflies etc. You don't want to affect the environmental life in the area. - Access of the road: last but not least is the access you are going to have for your building and if there is not any you are going to figure out how you are going to create the access without affecting the previous factors. All this information is needed to complete a site investigation. It is not only about the design of the buildings, or about the ecology of the site, it's much more than that, it's the technology of the building too, it need to be considered as technology is what will make the building stand up. If the site investigation is not correctly taken, it can cost millions. The wrong information taken can affect the technology that you decide to provide for the building, technology can always fail, therefore you need to make sure you have all information possible to avoid this happening.